Modern bathroom design has been around for a long time, but it’s still widely misunderstood. 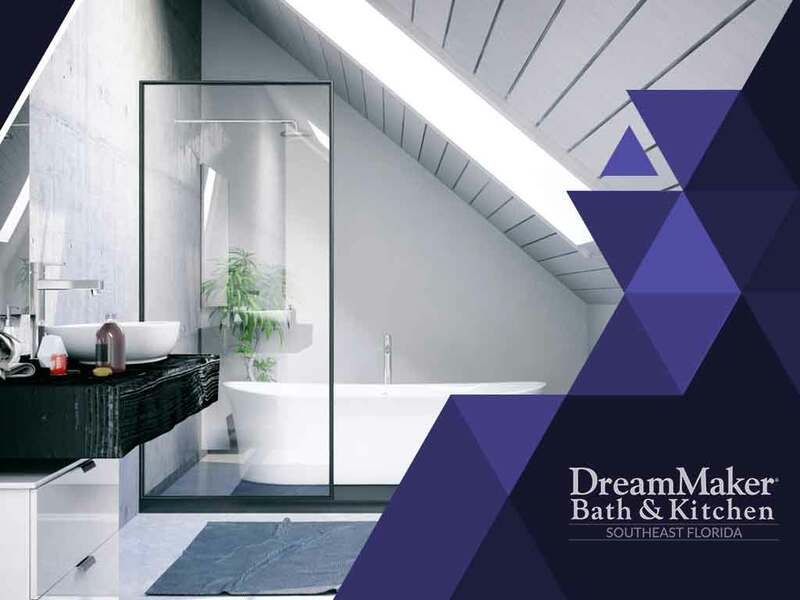 To remodel your bath with the modern aesthetic, DreamMaker Bath and Kitchen suggests that the elements below be present. A modern-style bath has a noticeable sense of openness. 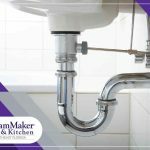 Experts in bathroom and kitchen remodeling attest that eliminating dividing walls to create a seamless layout is good practice. The lack of any obstructing presence allows the eye to roam around the space freely. If you have a tiny bathroom, the generous use of glass can make your space feel larger because the light can easily reach deep areas. Incorporating a floating toilet and vanity can also add more depth to your room. Modern bathrooms have zero frills. 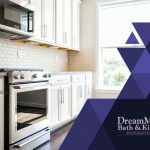 DreamMaker Bath and Kitchen recommends using basic colors that produce your desired psychological effects while removing unnecessary distractions. 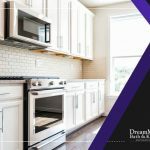 When choosing colors for your cabinet resurfacing project, pick neutrals, especially white and hues with earthy tones. These colors get the job done effectively. Embrace geometric shapes. Combine circles, triangles and rectangles to attain diversity while staying true to modern architecture. Furthermore, place a premium on natural material. Pick stone and wood in favor or manufactured options like metal as much as possible. 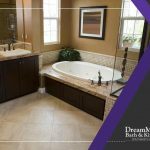 Experienced bathroom remodeling contractors agree that you don’t necessarily have to limit yourself to authentic materials. Indistinguishable alternatives will suffice to reconcile beauty with affordability. Although modern baths are generally minimalist, they shouldn’t be characterless. Use accents with bright colors to keep your entire space from feeling too sterile and boring. A flowering plant is a smart choice for decoration because it’s a piece of Nature and it’s easy to change when you’re tired of it. 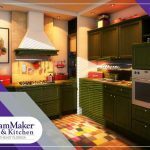 At DreamMaker Bath and Kitchen, we take pride in being a faith-based organization. Our over 30 years of industry excellence speak to our commitment of integrity and client-centric customer service. Call us at (561) 935-3915 to arrange your free consultation in Jupiter, FL, to get your bath makeover started!